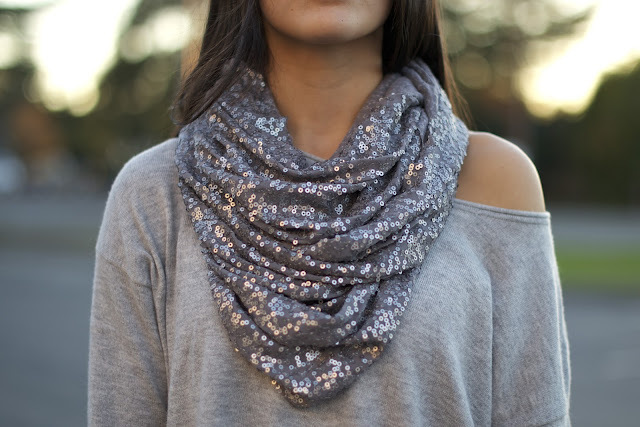 I thought this outfit needed a little sparkly flair, so I quickly made this sequined infinity scarf out of a yard of fabric I had purchased for DIYs. I laid the fabric long ways and knotted both ends together. Later in the day, I sewed it together because I liked it so much. This sweater is another black friday find. It was $10 but I got money off from my scratch card so it was only $5. 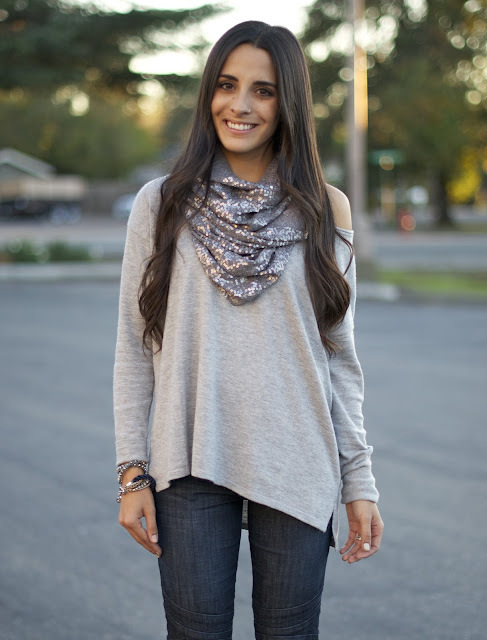 It's so soft and cozy-yet another perfect casual item that I will be using as a staple this winter. This outfit is amazing! i love the scarf!!! Where did you get the fabric for the scarf? I love it! 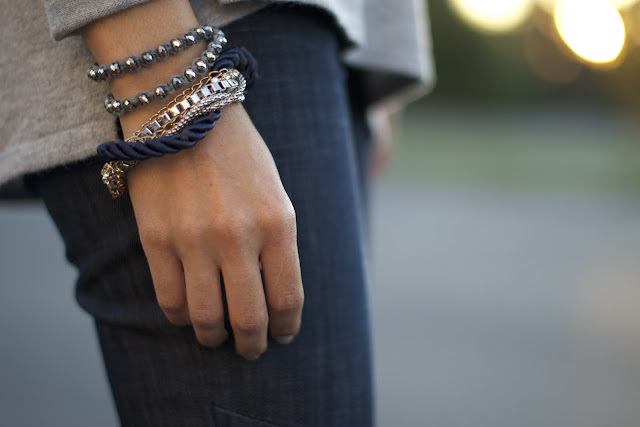 And what is your key to Plato's closet? I can't find anything that good around me. Go to a ritzy neighborhood? Also, I go to Plato's Closet fairly often. The ones I go to are in average areas, but when you go often you can see when good items come in! The two I go to are both in the Bay Area. 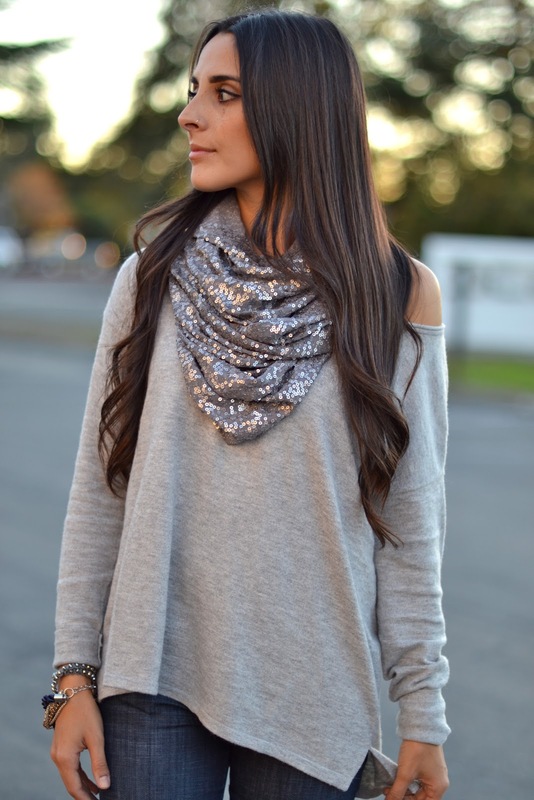 cute, simple and sparkly.. its perfect! You need to do a tutorial on the DIY scarf! I love it.